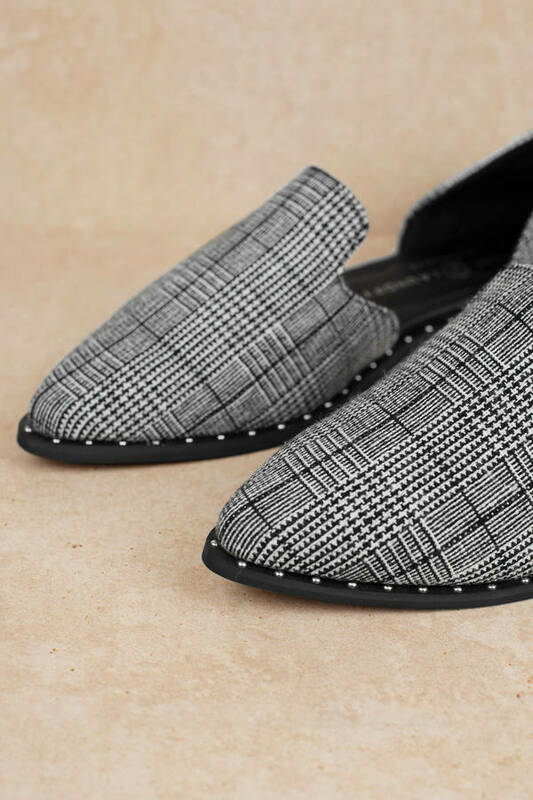 Check out Tobi's Emy Pointed Flats Chinese Laundry's Emy Black And White Pointed Flats take plaid print to a whole 'nother level. These plaid flats feature a two piece silhouette, pointed closed toe, studs along the sides, and beautiful plaid print. These cutout flats will look so fab with high waisted culottes and a mock neck top. 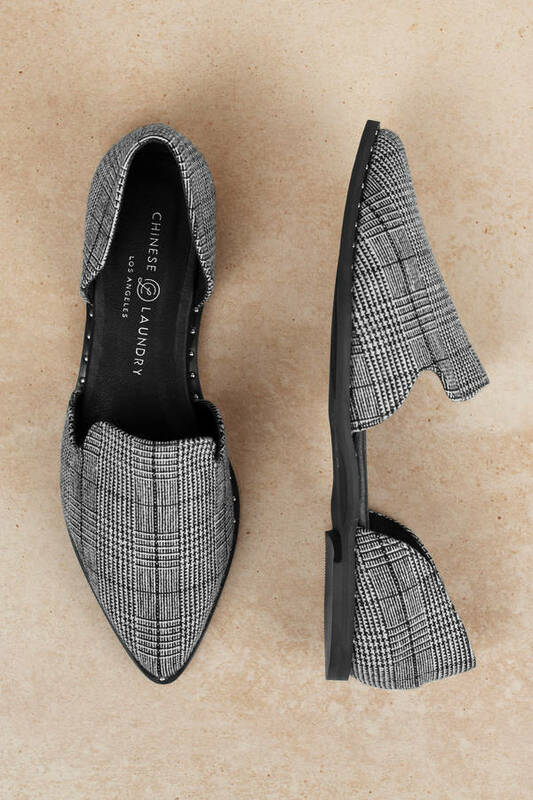 Chinese Laundry's Emy Black And White Pointed Flats take plaid print to a whole 'nother level. 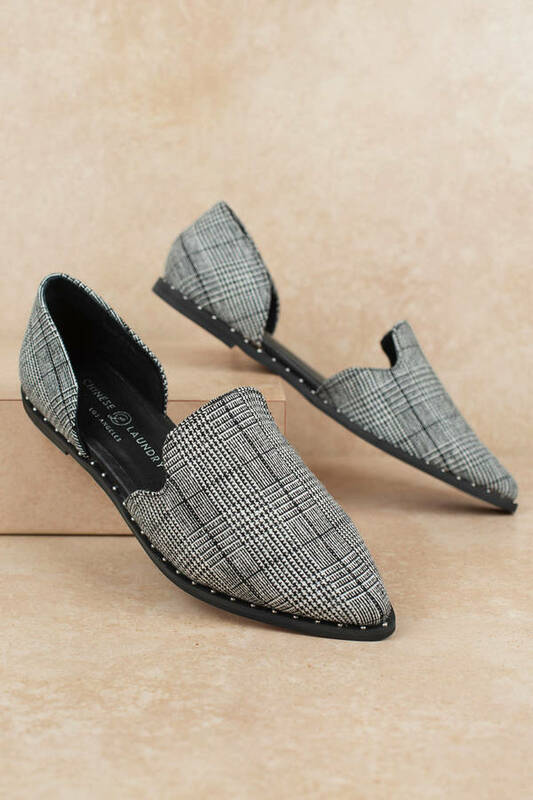 These plaid flats feature a two piece silhouette, pointed closed toe, studs along the sides, and beautiful plaid print. These cutout flats will look so fab with high waisted culottes and a mock neck top.